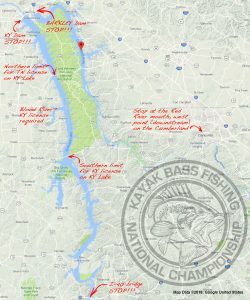 What: The biggest kayak fishing cash-out in history will take place on March 23-24, 2018 when 754 competitors from all over the U.S. competing for a $100,000 guaranteed first place finish. This event is powered by Torqeedo and presented by Wilderness Systems. Where: The Henry County Tourism Authority welcomes KBF Members to Paris Tennessee, from whence they’ll spread out over both Kentucky Lake and Lake Barkley in Tennessee and Kentucky. Tournament HQ will be at the Henry County Fairgrounds in Paris, Tennessee. 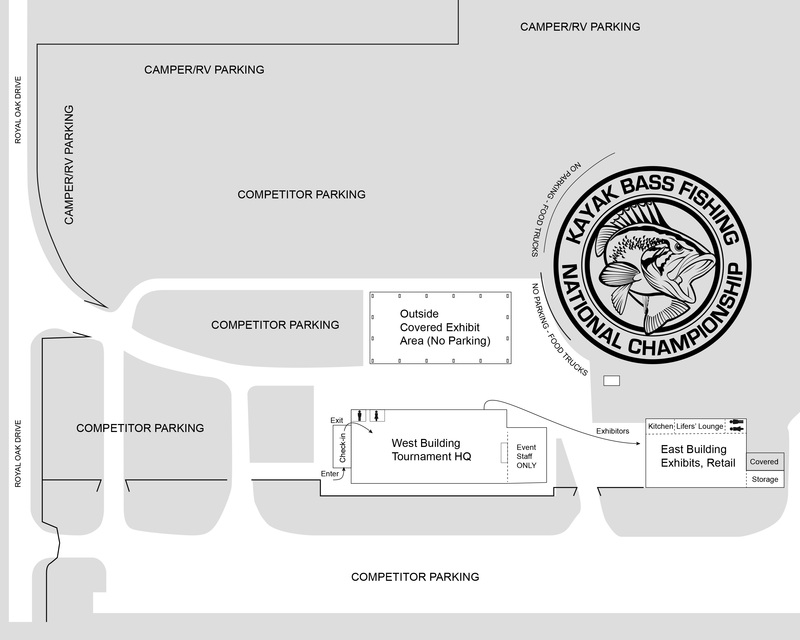 Early Registration: Competitors who have not yet done so, please fill out and submit the Early Registration Web Form to speed up your on-site sign-in and ensure we have your shirt and event packet. It will also help us make sure you get credit for sponsors’ products when we pay out BONUS BUCKS. During 2017, each competitor was required to be a KBF Lifetime Member or a 2017 KBF Annual Member. Be a 2018 KBF Annual Member or KBF Lifetime Membership by paying KBF Membership dues by Thursday, March 22, 2018. 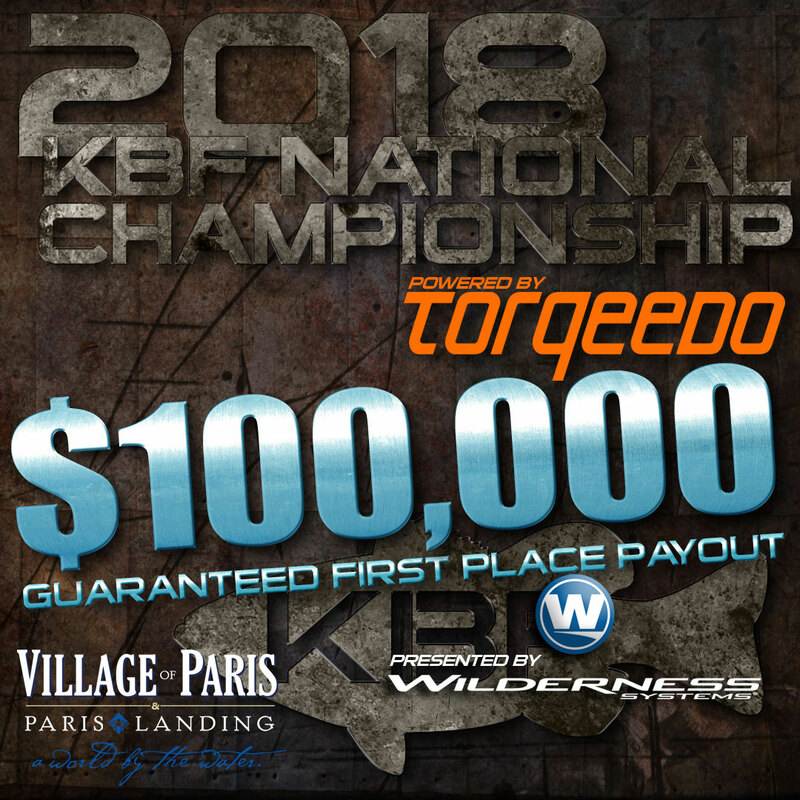 Competitors qualified by competing and placing in the top ranks of KBF Challenges (online state- and national-level competition), KBF TRAIL Series tournaments (regional meet-up events), and KBF OPEN Series Tournaments (national meet-up competition in spring and fall). Each event awarded one, two, five or more qualifying slots, depending on the numbers of registrants. Refer to the KBF Event Rules Addendum for each event. 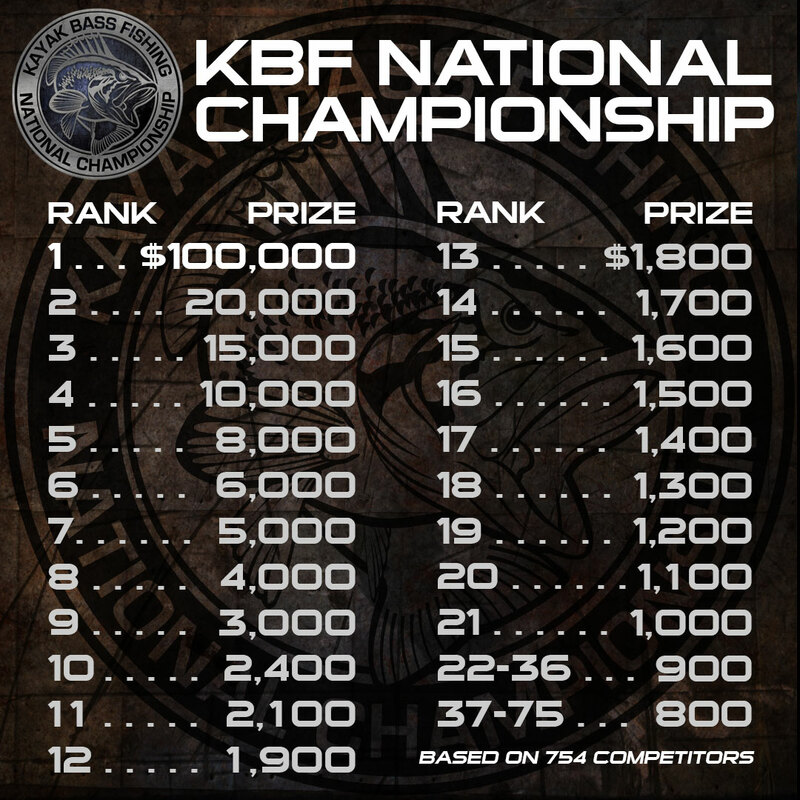 The 2017 KBF National Championship qualified 50 KBF Members. 2017 KBF OPENs qualified 30 each. 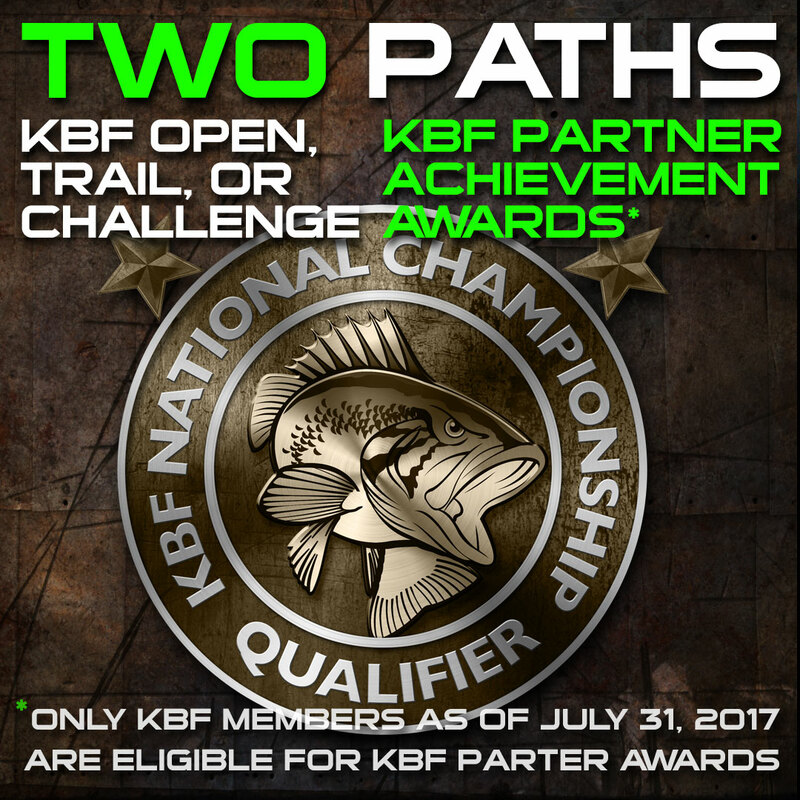 KBF TRAIL Series Tournaments qualified 10% of the field (one for every additional 10 registrants) with a minimum of 5 per tournament. KBF Challenges qualified 5% of the field (one for every additional 20 registrants) with a minimum of 1 per event. By December 15, all 2017 slots will had been awarded and the roster was nearing completion. The slots of qualified anglers who were unable to compete or withdrew were rolled down, based on KBF Angler of the Year Ranking, to alternates who met the eligibility criteria laid out above. 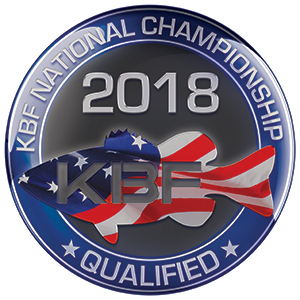 All qualified anglers who earned their slots by December 15 confirmed their place by registering and paying their 2018 KBF-NC Entry Fee by the end of December 2017. On January 1, 2018, slots that were relinquished on December 31 rolled down to eligible alternates based on KBF Angler of the Year ranking. By January 4, the final roster was in place. Who: Below are KBF Members who will be competing in the Championship, with their states of residence. KBF BONUS BUCKS program participants are flagged with a dollar sign by their names. 11:00 a.m.: Registration/Sign-in begins on screened porch of Tournament HQ (west building at Henry County Fairground). 4:00 p.m.: Tailgate Gear Swap begins in parking lot. 4:00 p.m.: Prefishing on Eligible Water ends. 8:00 p.m.: Late Registration Sign-in resumes following Captains Meeting. 5:30 a.m.: Earliest Launch Time. 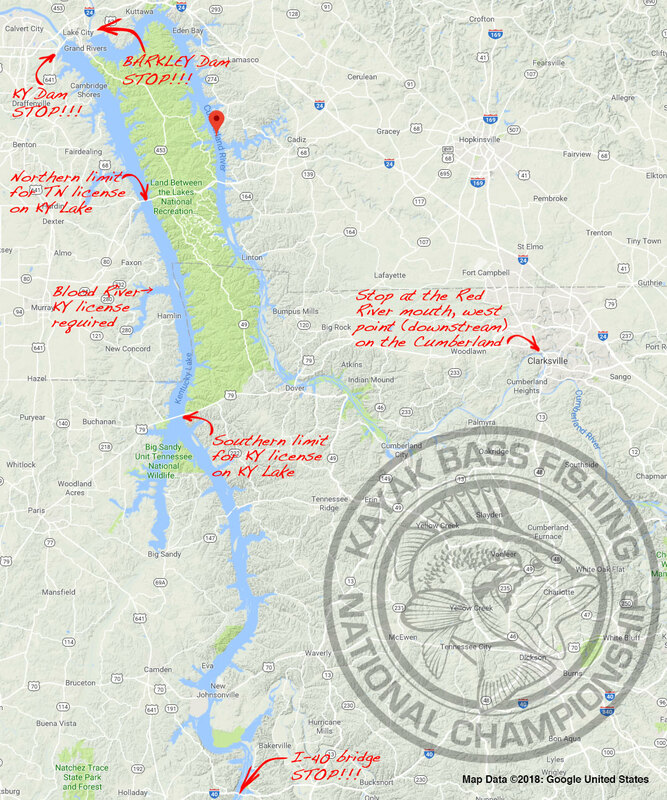 Anglers may arrive and prepare their gear earlier but may not launch onto the water before this time. 6:30 a.m.: Competition Start Time/Lines-in. 3:00 p.m.: Photo submission deadline. 4:00 p.m.: Friday Check-in line opens. Competitors may be selected to take polygraph tests for cause, by ranking, or at random. 5:30 p.m.: Deadline to be in Check-in line (screened porch, Tournament HQ). Late arrivals’ photos for the day are all disqualified. 5:30 a.m.: Earliest Launch Time. 3:00 p.m.: Competition End Time/Lines-out and Photo submission deadline. Also deadline to be in Photo Assistance Line for on-site upload of photos. 4:00 p.m.: Check-in line opens. Competitors may be selected to take polygraph tests for cause, by ranking, or at random.